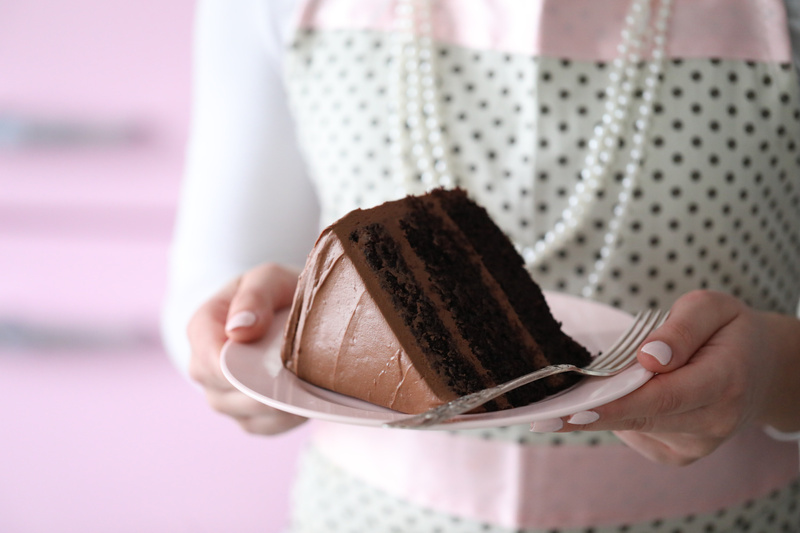 Hey you all; I hope you are enjoying your weekend. 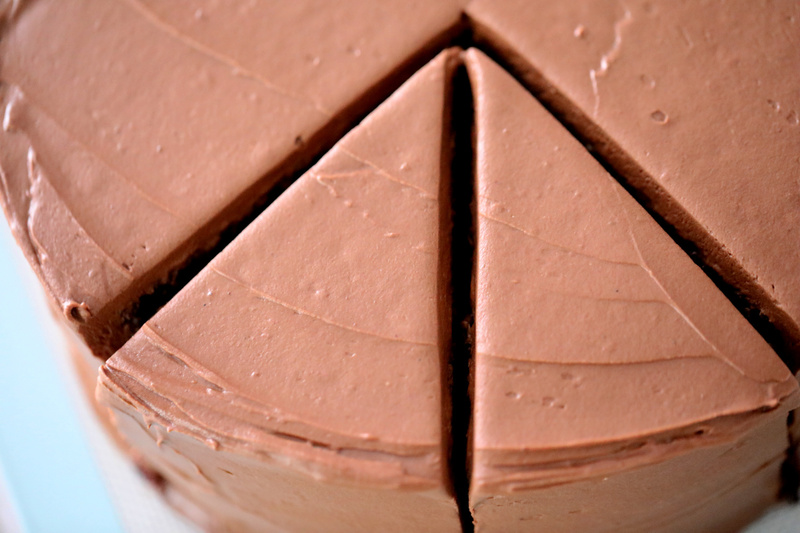 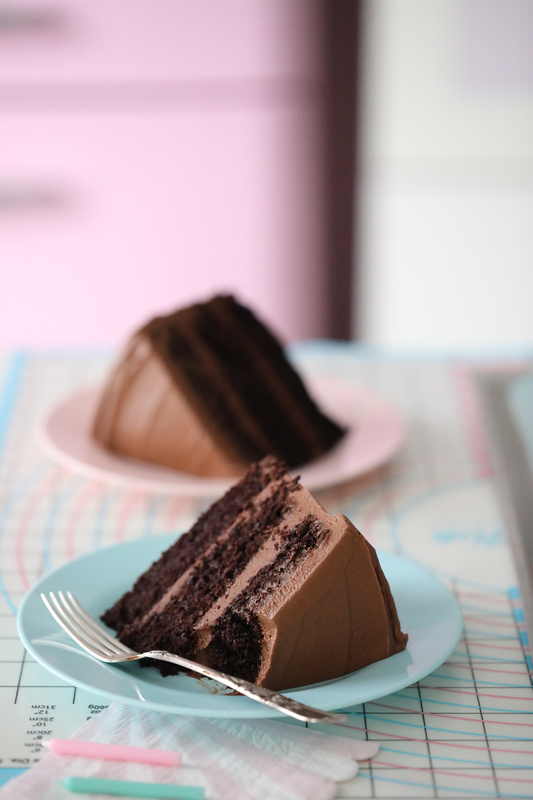 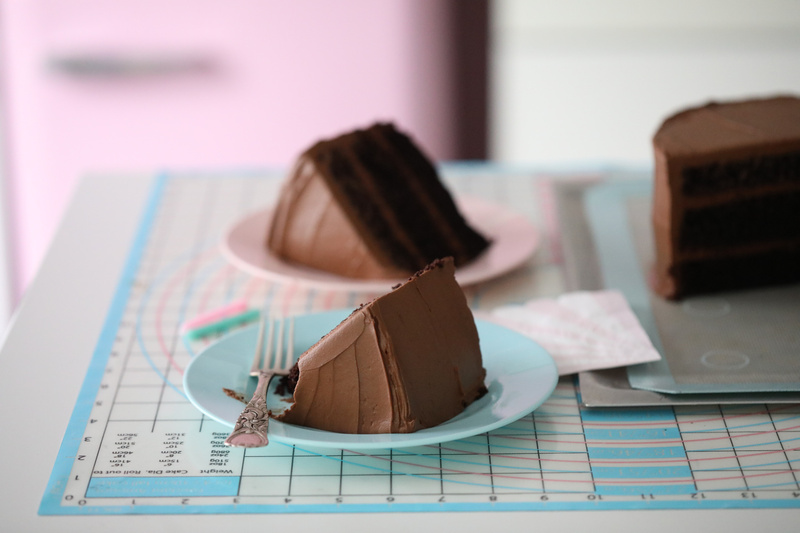 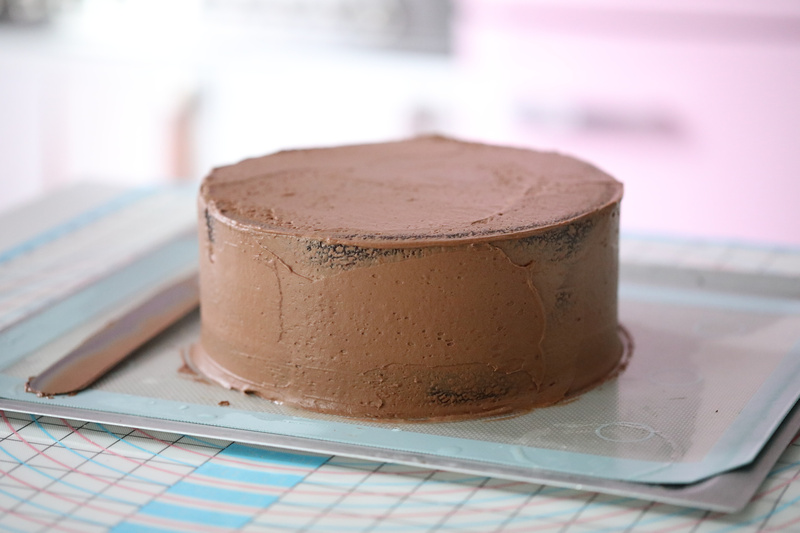 Sharing the recipe for a delicious light Devil´s Food Cake, the cake layers are super moist and the frosting is made with lots of egg yolks, chocolate, and whipped cream, it is soft and tastes just like a delicious chocolate mousse! 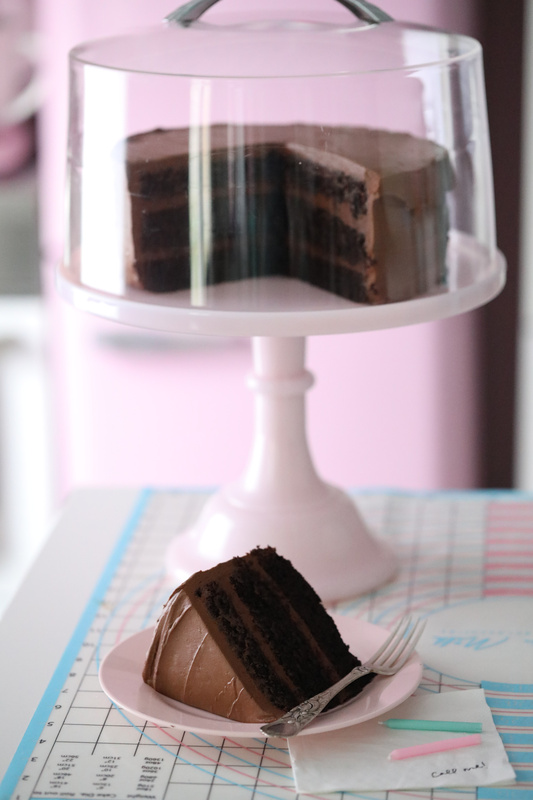 This cake is perfect to make for any occasion, party or birthday, I hope you enjoy it. 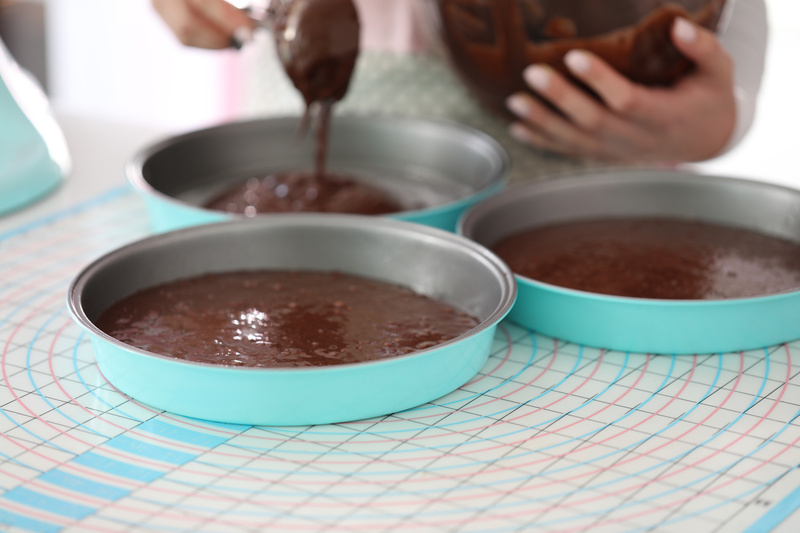 Make one 9-inch →24-26 cm moist chocolate cake in a springform ) or 3x → 8-inch (20 cm) round baking pans, get the recipe →here. 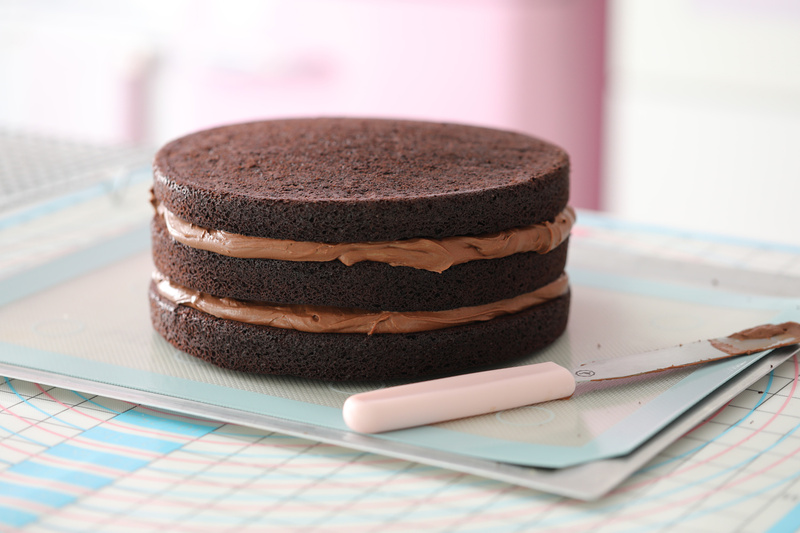 If you baked your cake in one springform, as soon as the cake is cooled down, you need to cut the cake in 3 even layers. 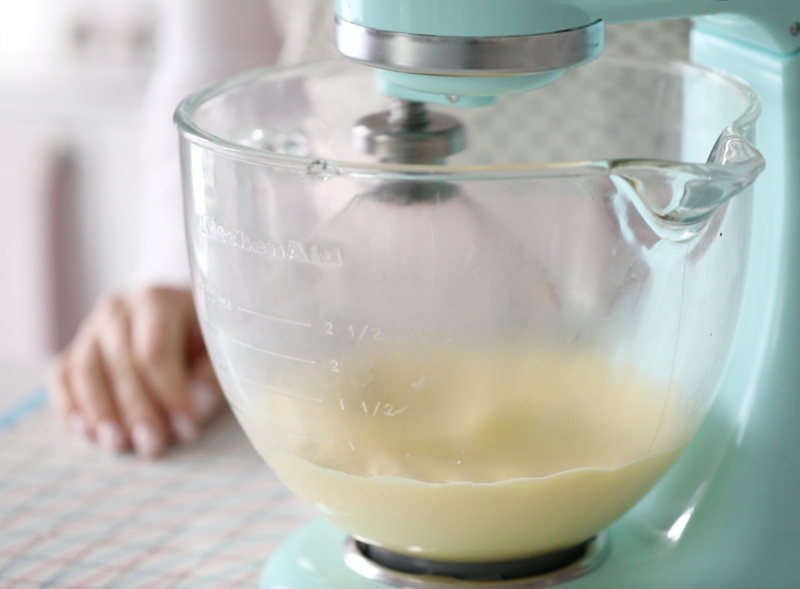 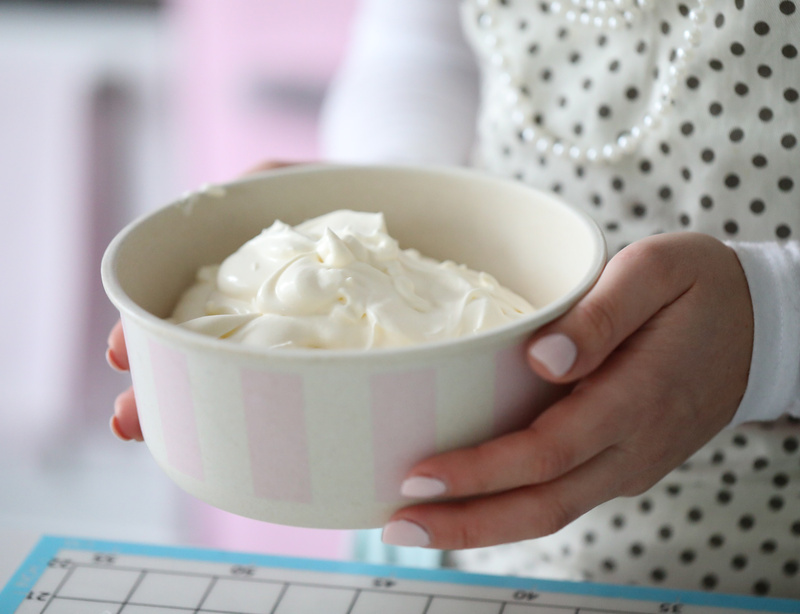 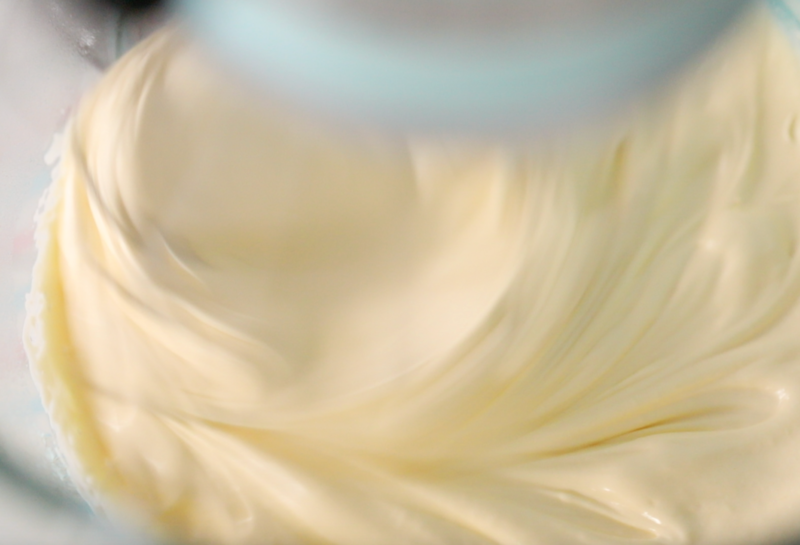 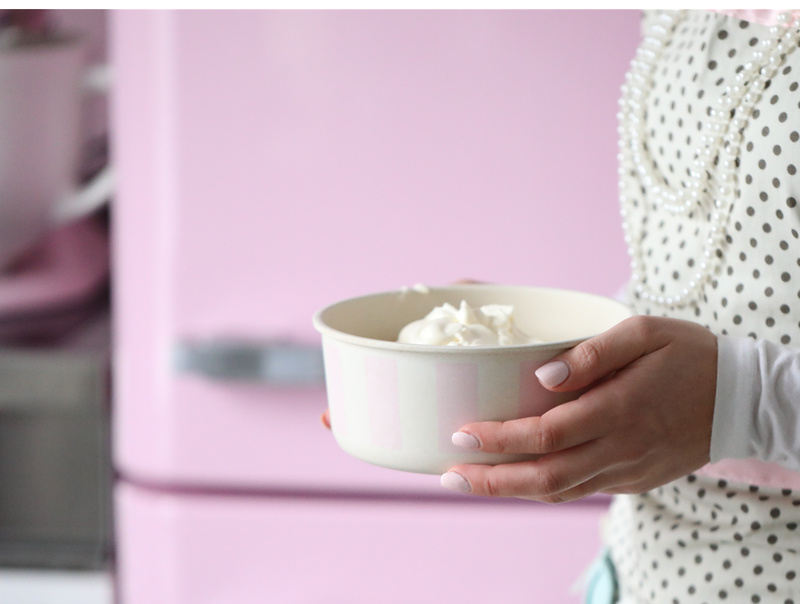 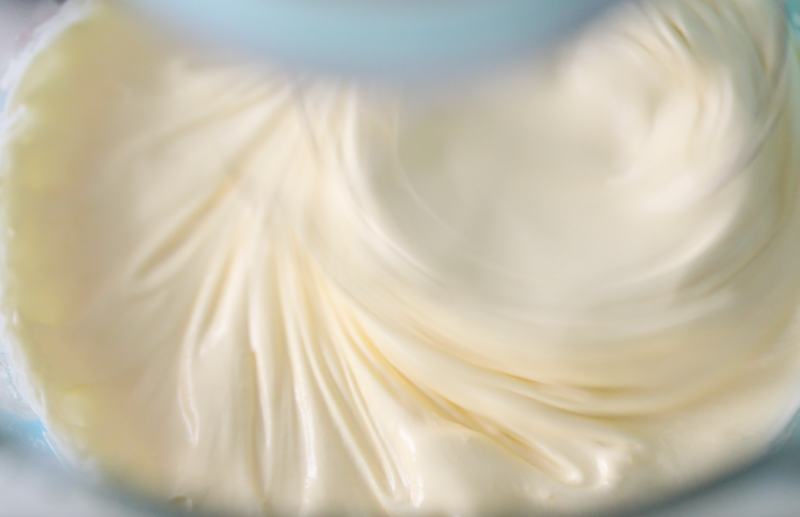 Whip up heavy cream until it holds soft peaks, and refrigerate for now. 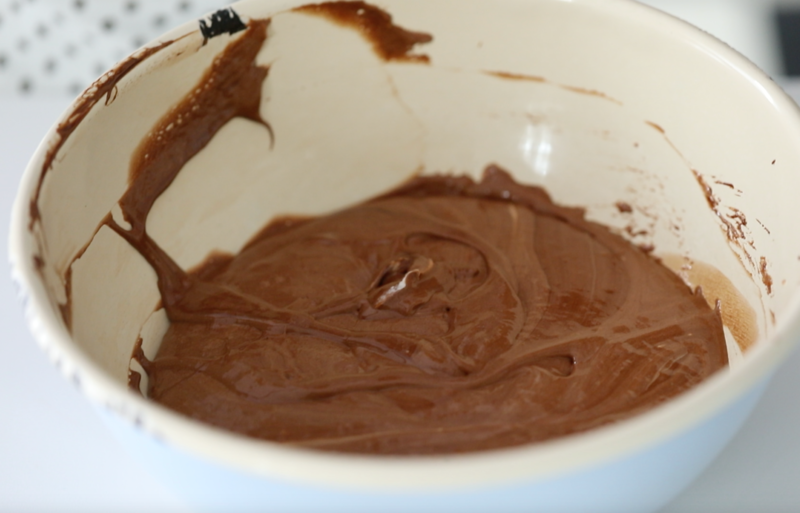 Melt the chocolate in a large bowl, melt it over simmering water or by heating it in a microwave in 15-second bursts, stirring between each. 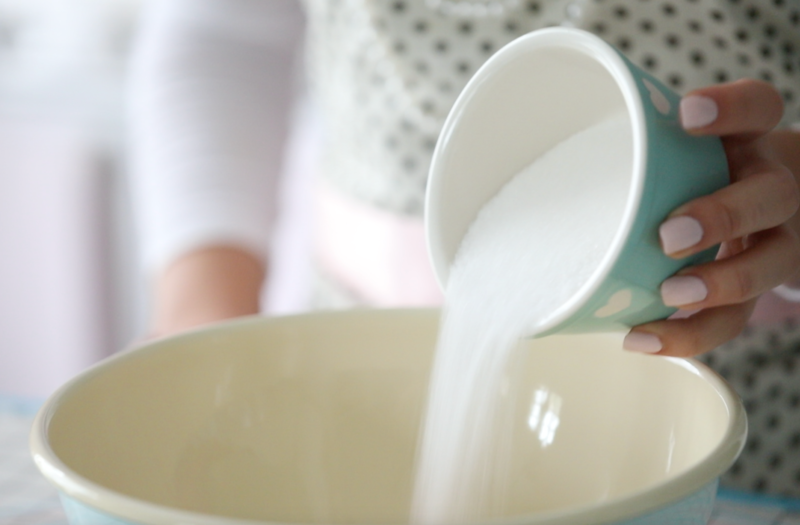 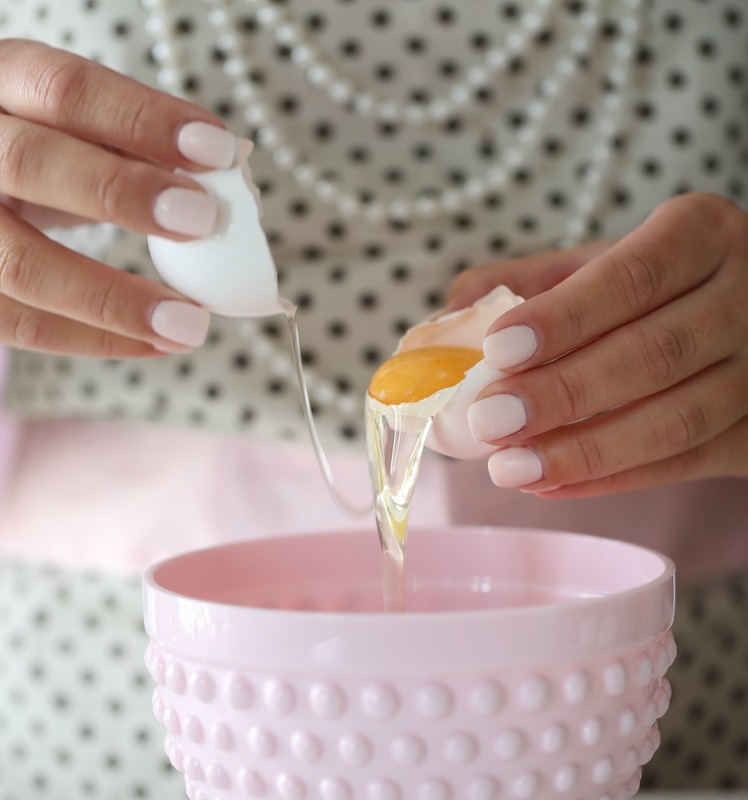 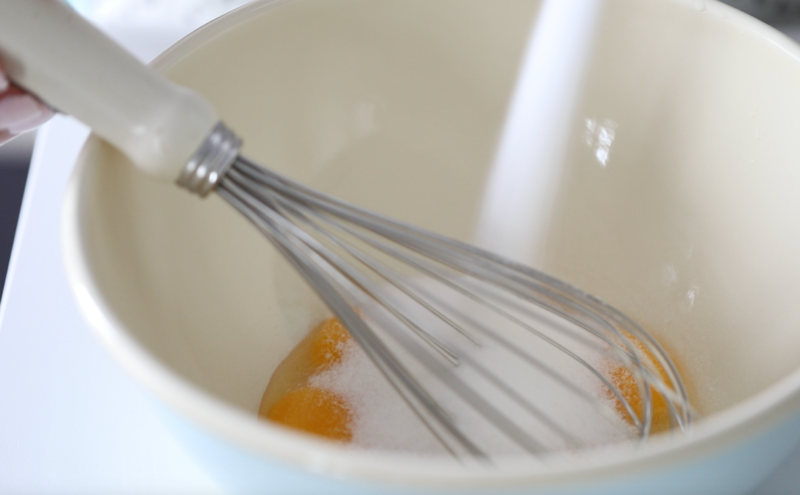 Place the large egg, and 7 large egg yolks, and sugar into a metal bowl set the pan over simmering water. 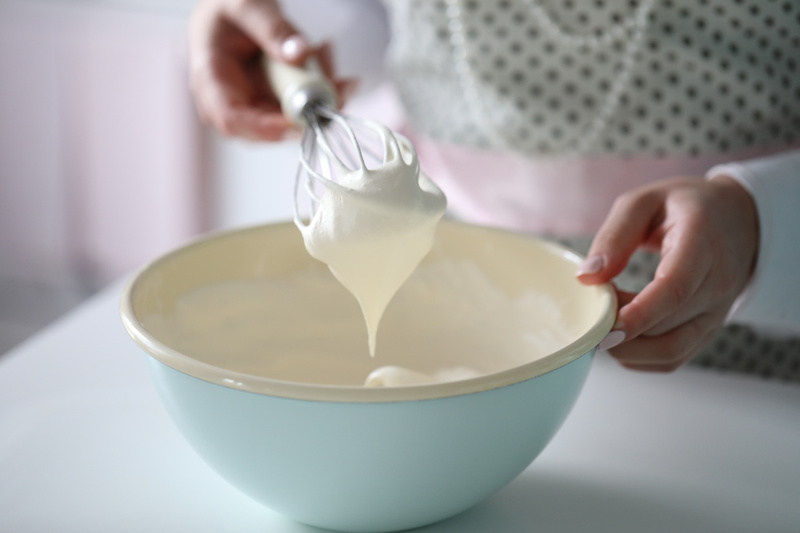 Whisk continuously with a hand whisk until the mixture thickens a bit and the sugar is dissolved this takes about 7 minutes. 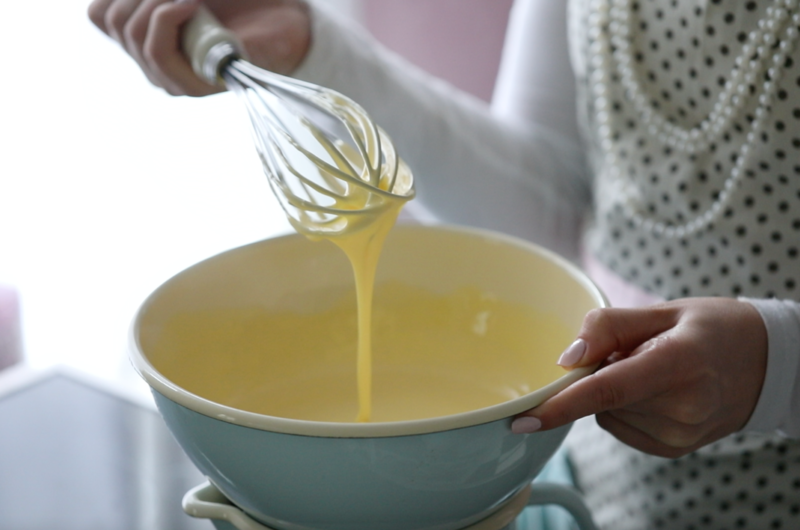 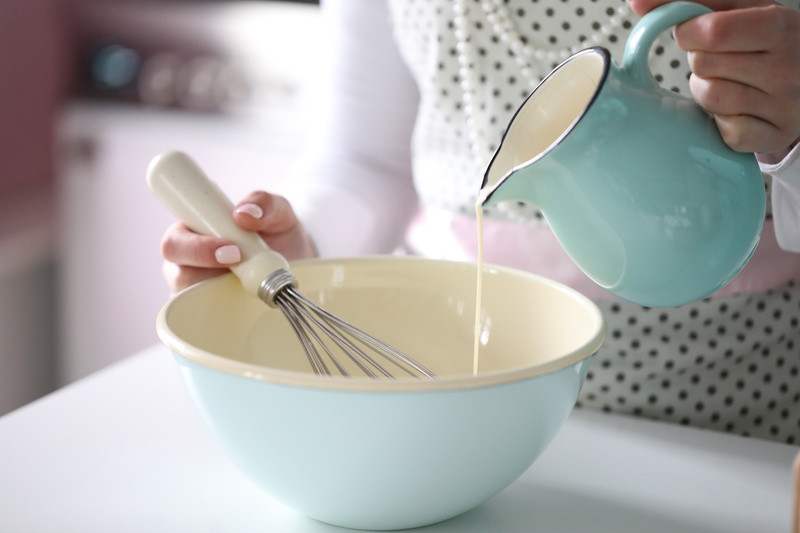 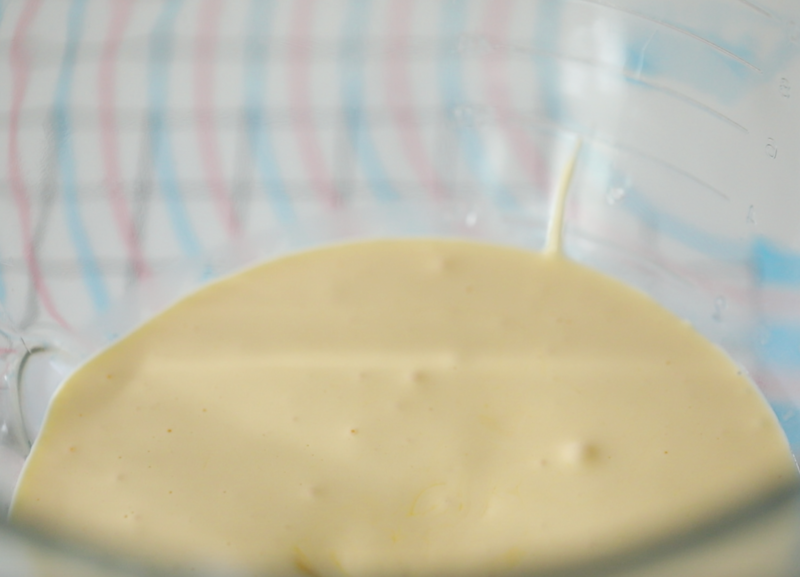 After 7 minutes pour the egg-yolk mixture, into a clean mixing bowl fitted with the whisk attachment whip the egg-yolk mixture on high until cool, this takes about 6-7 minutes. 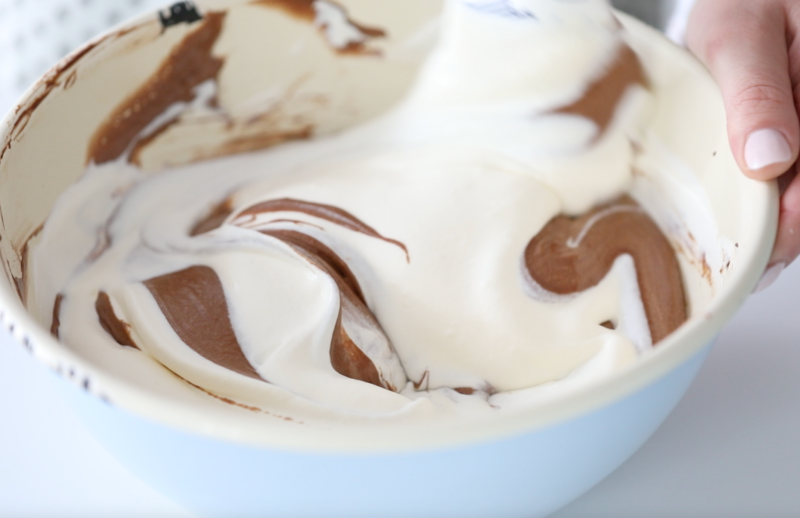 As soon as the melted chocolate has the right temperature, Take the cold whipped cream out of the refrigerator. 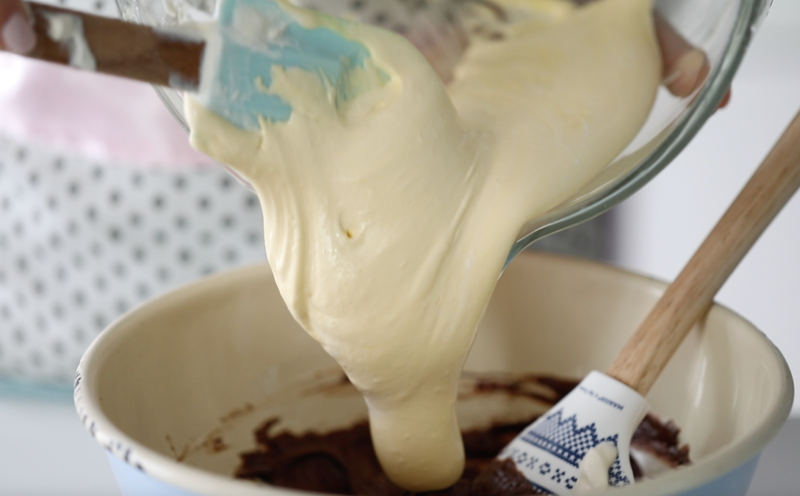 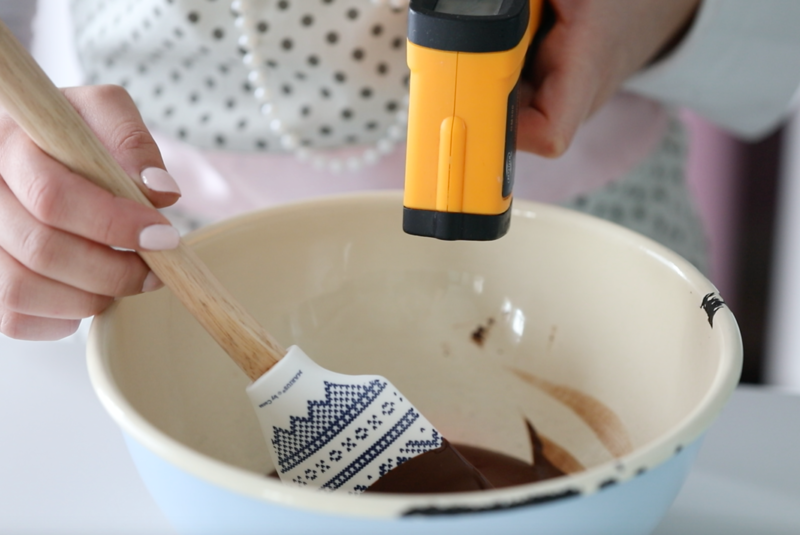 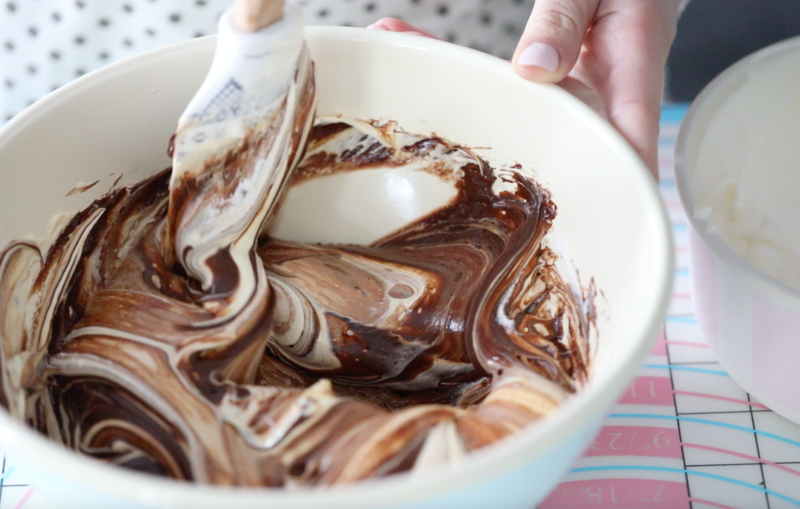 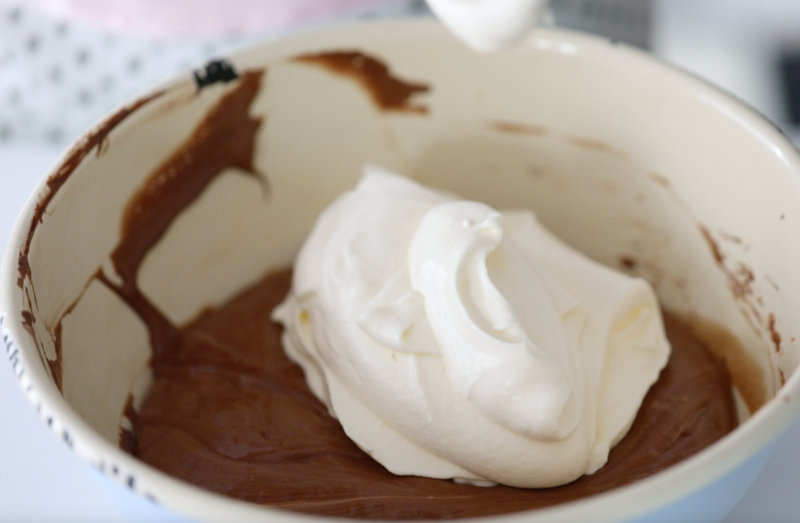 Add 1/2 of the whipped cream into the melted chocolate, with a spatula fold until you don’t see anymore whipped cream. 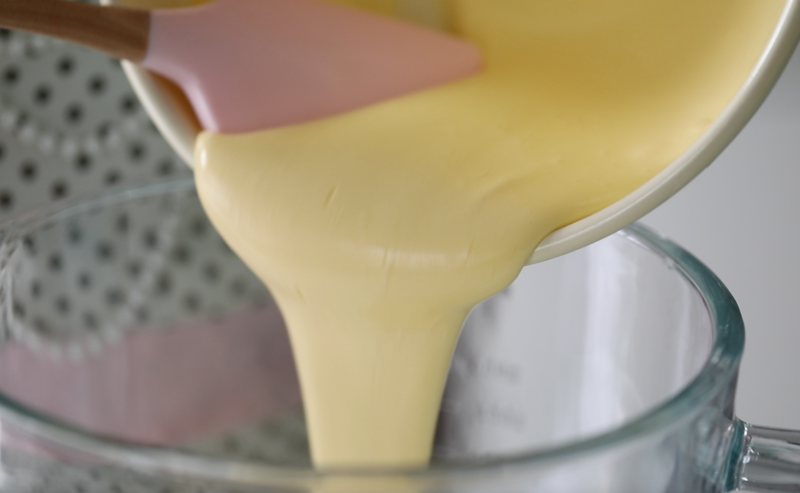 Next, fold in the whipped egg- yolk mixture, carefully combine with a spatula. 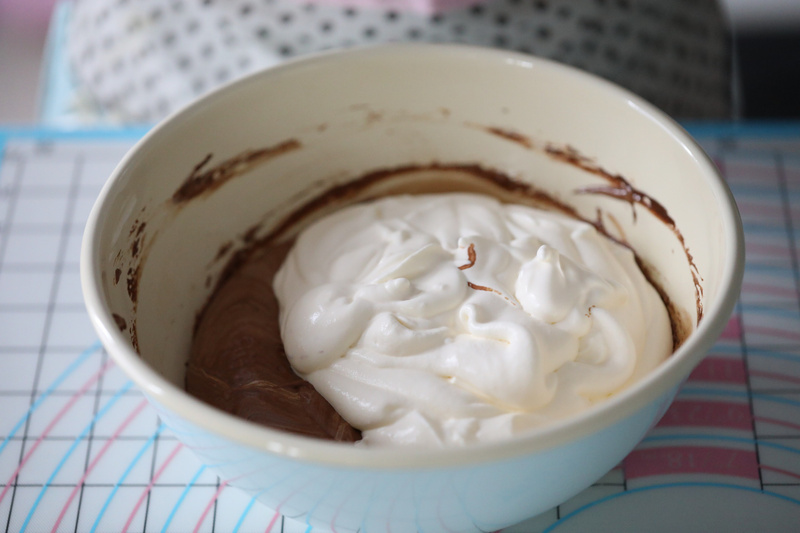 Then add in the rest of the whipped cream, fold until you won’t see any more whipped cream. 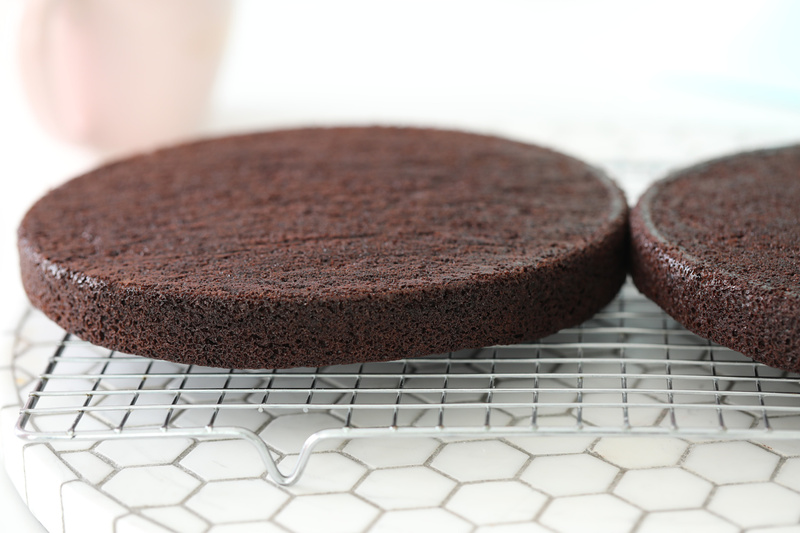 Place your first cooled cake layer on a cake board that fits into your refrigerator, I use a silicon matt underneath. 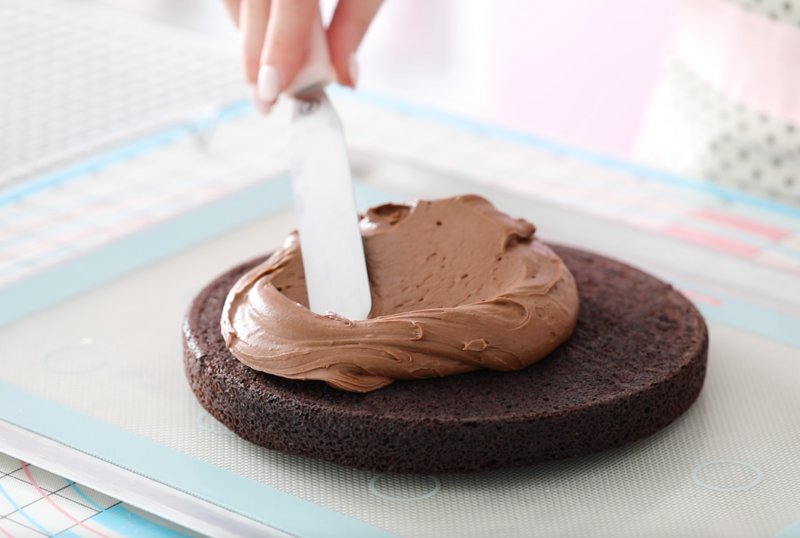 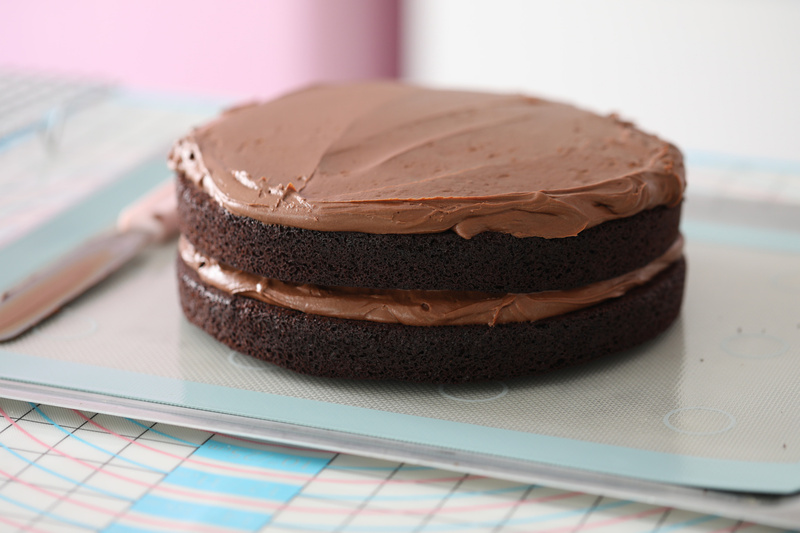 Add 1/4 of the chocolate cream on top of the first chocolate cake layer, use a small offset palette knife, smooth the chocolate frosting on top of the cake. 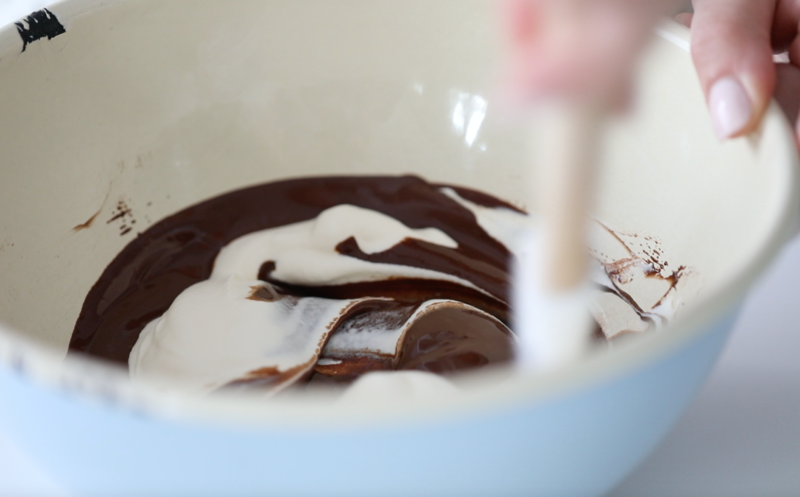 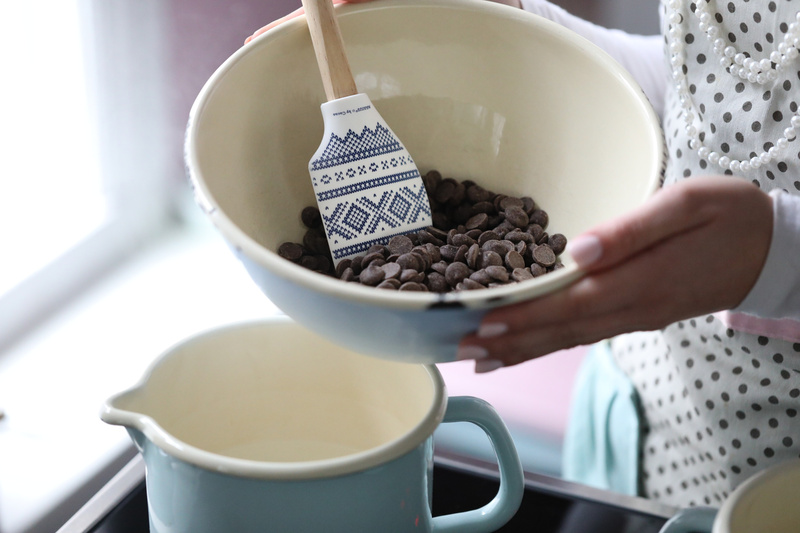 Place the next chocolate layer on top and repeat this step. 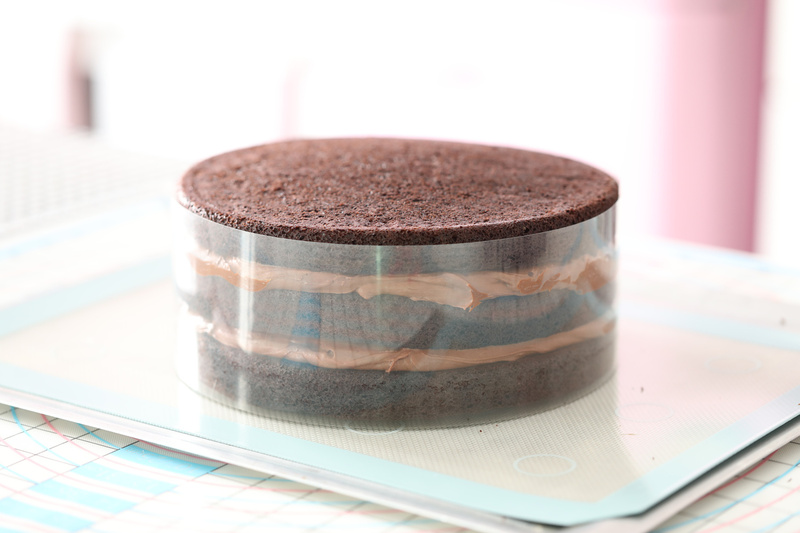 Add the last cake layer, which you will place top down. 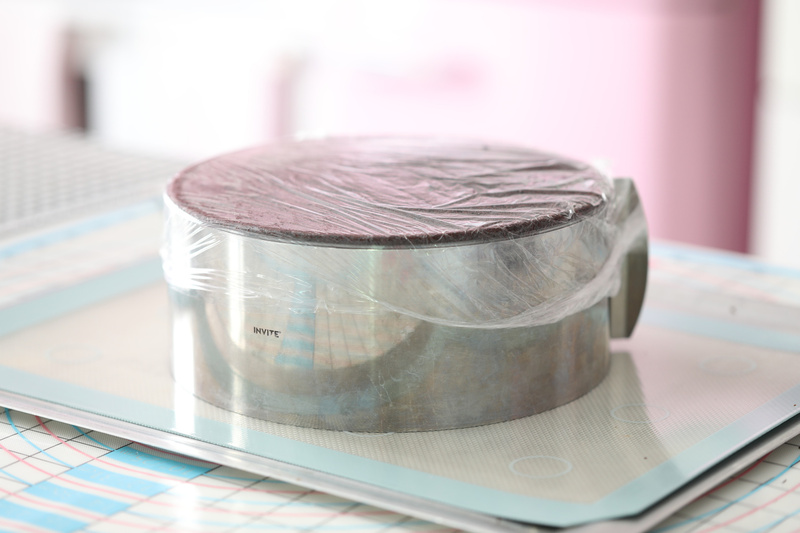 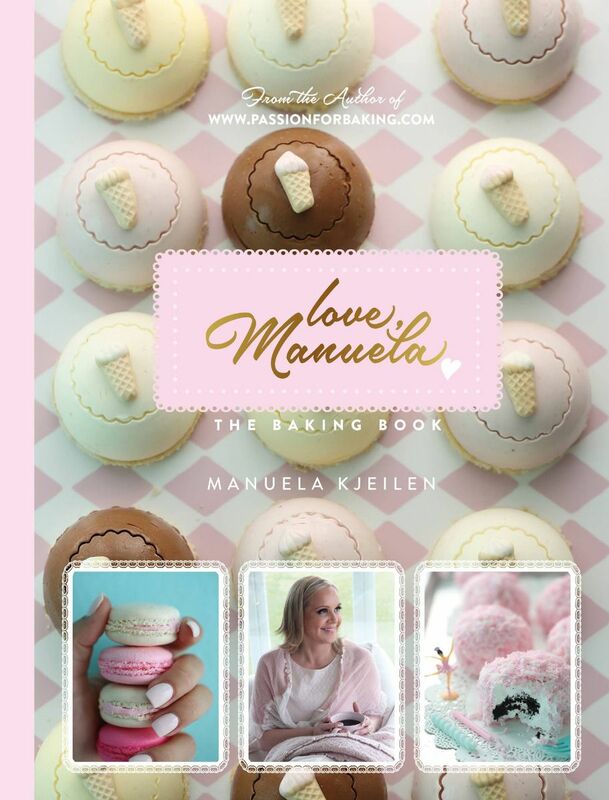 If you have, add a plastic collar and cake ring around the cake ( or cover the cake with plastic wrap) and refrigerate for 2 hours, or freeze for 30 minutes. 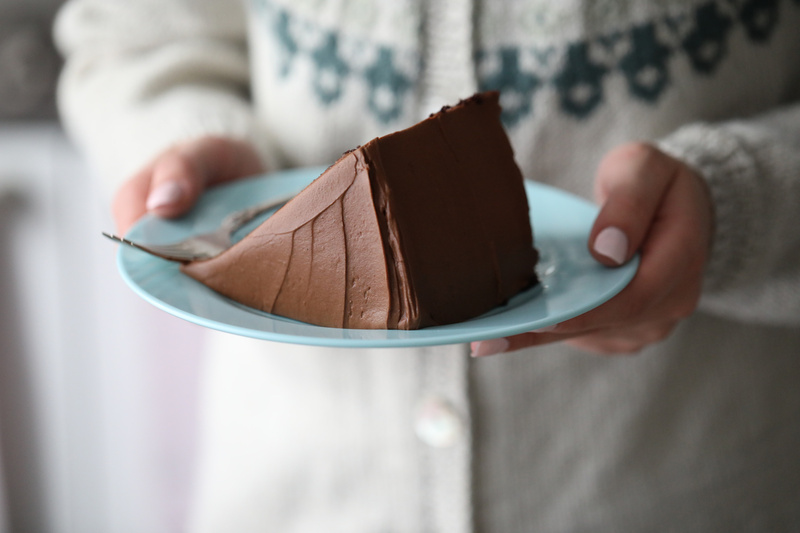 Put the rest of the chocolate cream into the refrigerator for later. 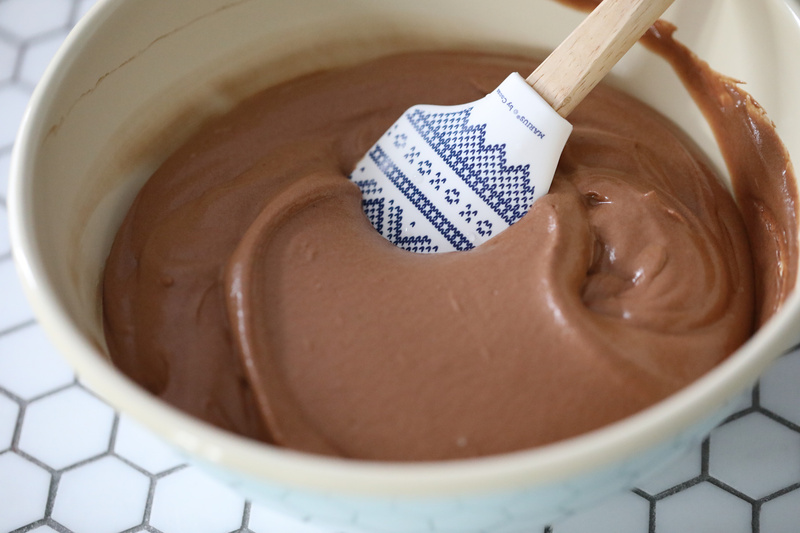 Take the chocolate cream out of the refrigerator, if the chocolate cream is to firm to spread onto the cake, simply remove 2 tablespoons of the chocolate cream add it into a small bowl and heat in the microwave for 3-4 seconds, and carefully combine with the rest of the chocolate cream. 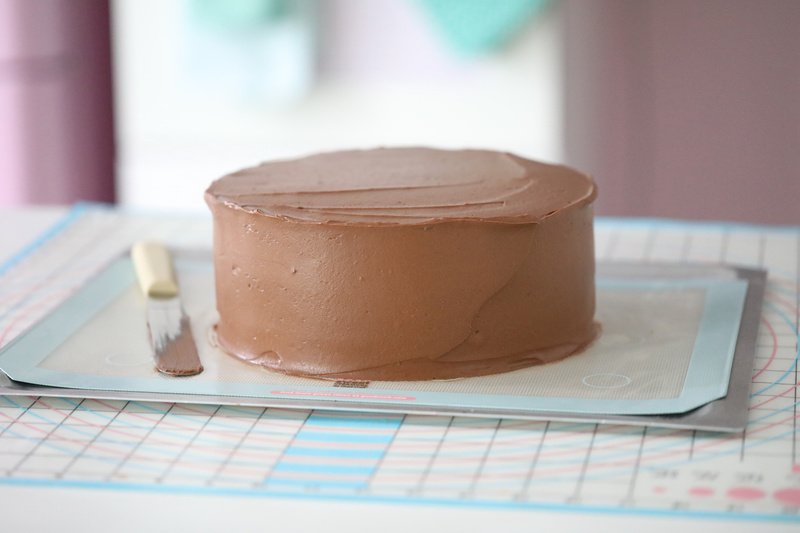 This cake will keep covered at cool room temperature for up to 8 hours, and then refrigerate for up to 2 days.